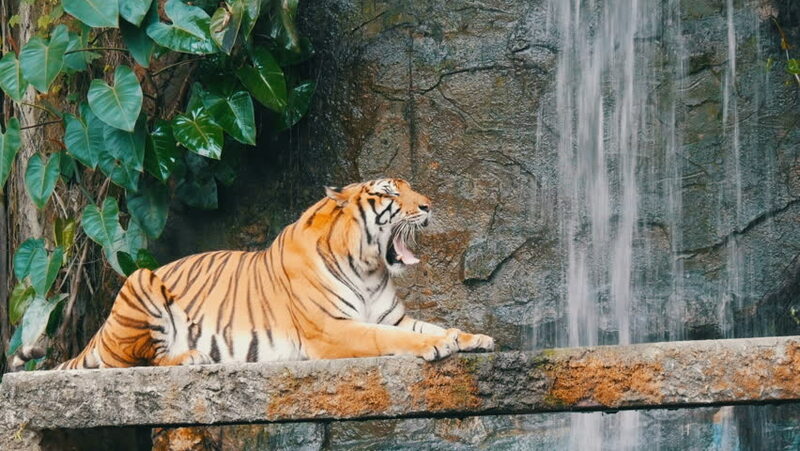 hd00:14The tiger lies on the rock near the waterfall. Bengal Tiger in deep wild, animal. Jungle concept.